My kid's bus stop has turned into mommy drama central. I try to stay away from drama as much as possible. I'm not one of those people who loves to be involved in other people's business, I would prefer things to stay pretty vanilla. However, I am also a person that when I see bad behavior repeatedly for weeks at a time I do finally say something. This week I had to go into drama central and I'm not feeling awesome about the whole thing. Here's the back story. My kid's bus stop is on a very busy street. There are approximately 15 kids at the stop, 7 of which are boys. Recently the boys have been standing at the very edge of the curb almost into the street for over 5 minutes while waiting for the bus. Then they fight, hit, and shove each other. Yesterday I hit my breaking point. I had tried telling them not to do it, but since their mommies were not at the bus stop they chose to ignore me. Then yesterday one of them talked back to me and told me that there was nothing that I could do about it. That did it. I got them written up by the principal. I had to deal with the aftermath of my decision with a confrontational mom at the bus stop this afternoon. Luckily I am quick thinking and turned the anger into laughter about raising boys. I hope the whole thing is over, two weeks of dealing with drama is way more than I am equipped for, it's making me tired and sick of the whole thing. On to the recipe! I love cookies, but most cookies made with gluten free flours are either too dry, or just taste lacking. 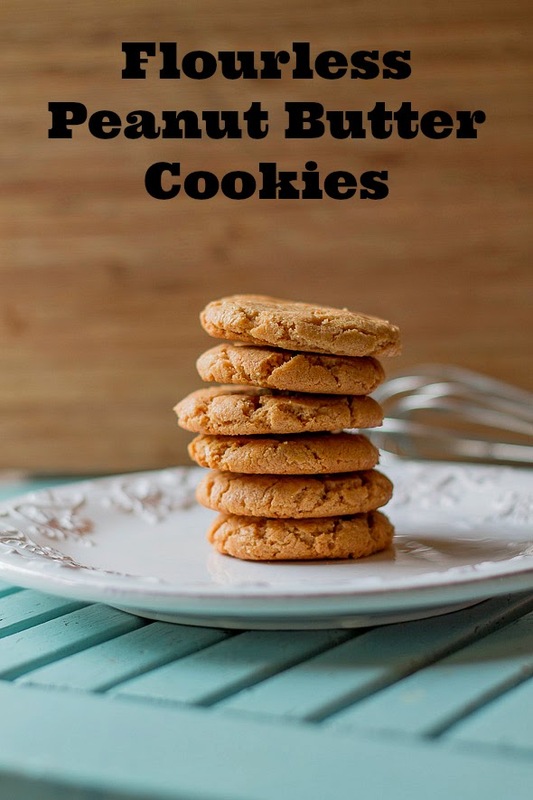 Peanut butter cookies are great gluten free and can be made completely without flour and only a handful of ingredients. 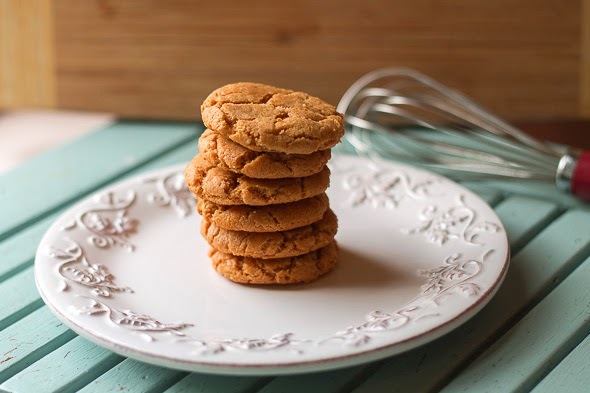 The following is an easy recipe for Flourless Peanut Butter Cookies. With only 5 ingredients and one bowl this is an easy and delicious dessert recipe. Stir together all ingredients (except chocolate chips), add chocolate chips if using. Roll into one tablespoon rounds and place 2 inches apart on a parchment lined baking sheet. Bake in a preheated 350 degree oven for 12 to 14 minutes. Wait 10 minutes before moving cookies to a cooling rack. These cookies are crumbly if you do not allow them to cool before moving them. For best results allow them to cool completely on the baking sheet. I have tried these cookies both with chocolate chips and without and they work well either way. They would also work with peanut butter chips or toffee bits. If you do not eat granulated sugar you could experiment with coconut sugar or sugar substitute. I have not tried these substitution, but I have tried coconut and date sugars in other recipes and they have worked well. If the mom had been at the bus stop to discipline her own kid to begin with, you wouldn;t have had to tell the principal. I don't love confrontation, either, but you were looking out for the kids safety. That mom should have thanked you. I hope those mommies did thank YOU for that! 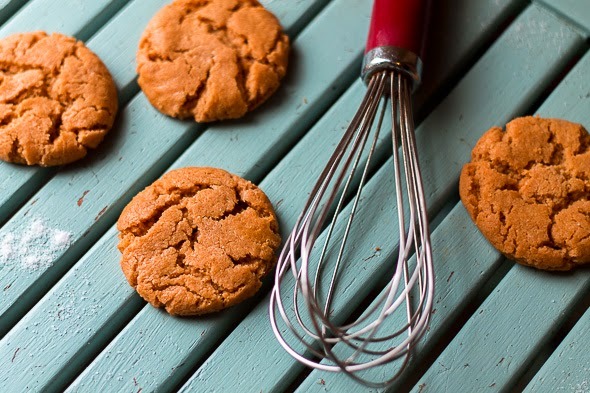 These flourless peanut butter cookies look awesome, Ann. I was waiting to hear if things had changed. Glad to know that you finally took steps into your own hands. btw if I hadn't read it here I wouldn't have believed it. Flourless cookies? WOW! I am so going to have to give that a try. Things are much better at the bus stop now :) These cookies are really great and so easy! I'll eat peanut butter anything! Especially cookies!